Michael R. Hedges has tried dozens of jury trials, some lasting weeks. 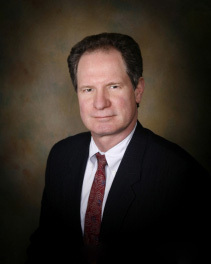 His practice has concentrated on civil litigation, including representation of individuals, businesses, governmental entities and insureds of title insurers and liability insurers. He is also an experienced mediator. Associate Member, American Board of Trial Advocates. ABOTA is a National organization of invitation-only, peer-reviewed trial lawyers, equally split between plaintiff and defense. In Carreon v. McDonough Bros., Inc., 621 S.W.2d 440 (Tex. Civ. App. San Antonio 1981), Hedges represented McDonough Bros. in a lawsuit in which Plaintiff appealed a verdict in McDonough Bros. favor in a personal injury case and then failed to show cause why the statement of facts should not be disregarded. In Gleitz v. KMart Corp., 1996 Tex. App. LEXIS 5225, 1 (Tex. App. San Antonio Nov. 27, 1996), Hedges represented K-mart in a lawsuit in which Plaintiff appealed a judgment in K-marts favor in a personal injury case. The appeal was dismissed for want of prosecution. In Johnson v. Pico Petroleum, 2001 Tex. App. LEXIS 3299, 1 (Tex. App. San Antonio May 23, 2001), Hedges represented Pico Petroleum in a lawsuit in which Plaintiff appealed a judgment in favor of Hedges client in a personal injury case. The appeal was dismissed after the matter was settled. In Willmann v. City of San Antonio, 123 S.W.3d 469 (Tex. App. San Antonio 2003, pet. denied), Hedges represented the City in a lawsuit in which former municipal court judges sued the City alleging that an ordinance that included recommendations for the appointment of new judges was void because it violated the Texas Constitution, the city charter and the Texas Open Meetings Act. Plaintiffs appealed a summary judgment in favor of the City. The judgment in favor of the City was affirmed on appeal to the Fourth Court of Appeals, except as to an issue on which the Court of Appeals felt there was question of fact, and the Supreme Court denied Plaintiffs petition for review. The case was settled during the trial of the remaining issue. In BTEX Ranch, L.P. v. Kendall County, 2008 Tex. App. LEXIS 6114, 1 (Tex. App. San Antonio, 2008), Hedges represented the County in a land use case. Developer appealed a temporary injunction enjoining it from continuing the development of a residential subdivision by using or constructing a road without first complying with the Countys Subdivision Regulations. The matter was settled by entry of an Agreed Judgment that enjoined Developer from violating the Countys regulations. In Martinez v. Ford Motor Credit Co., 2012 Tex. App. LEXIS 7230, 1 (Tex. App. San Antonio, 2012, pet. denied), Hedges represented Ford Motor Credit Co. Plaintiff had a car accident years after buying a used car and argued that Ford Motor Credit Co., as a prior lender (Hedges client) who had foreclosed on the used car before her purchase, was negligent and negligent per se because it failed to surrender the vehicle’s title and apply for a non-repairable vehicle title or salvage title, sold the vehicle at auction to a used car dealer with a clear title, and failed to warn about damage to the car before foreclosure. Plaintiff appealed a summary judgment in Ford Motor Credit Co.s favor. The Court of Appeals affirmed the motion for summary judgment and the Supreme Court denied Plaintiffs petition for review. In Borden Park, L.P. v. City of San Antonio, 2006 U.S. Dist. LEXIS 62729, 14 (W.D. Tex., 2006), Hedges represented the City in a lawsuit in which Plaintiff sued the City regarding four large billboardtype signs, city ordinances regulating them and permits which were not granted related to them. In the press, this was called the “Ugly Signs” or “Star Storage” case. Plaintiffs made multiple claims under the Texas and U. S. Constitutions. After a three week jury trial, the jury unanimously denied all of Plaintiff’s claims for monetary relief. Although the Court granted some of what Plaintiff requested, the Court ruled in favor of the City as to most issues and denied all requests for damages. In City of San Antonio v. Casino Club, et al, Hedges participated in representing the City in resolving boundary disputes along the San Antonio River Walk. Just prior to a scheduled jury trial, the five ownership groups agreed to the City’s position, and eventually signed confirmation deeds and long term leases. In City of San Antonio v. University of Incarnate Word, Hedges participated in representing the City of San Antonio in a boundary dispute along the San Antonio River, with historical facts dating back to 1852. The case was settled on terms favorable to the City of San Antonio, with the City receiving deeds to property that was formerly an island in the San Antonio River.